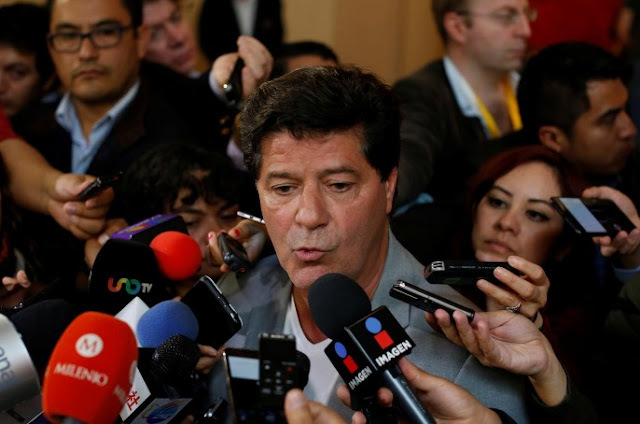 Jerry Dias, president of Canada's Unifor Union talks to the media during the second round of NAFTA talks involving the United States, Mexico and Canada in Mexico City, Mexico September 3, 2017. Canada’s Unifor union said on Sunday its members at General Motors Co’s CAMI auto assembly plant in Ingersoll, Ontario are on a strike from 1059 pm Sept. 17 as it failed to reach a tentative agreement with the automaker. The union was in talks with GM about the company's decision to cut jobs and shift some production work to Mexico.